I retired to Cuenca in 2001, at the age of 49. At the time, it was one of the few places in the world where we could afford to live well. The first order of business was six weeks of Spanish school, because we knew no one who spoke English. Retiring to Ecuador was not a popular idea in 2001. Nine months into the year, we obtained pensioner’s visas #1 and #2 from the New York consulate. At this time, one restaurant in Cuenca qualified as fine dining. In 2003, I counted around a dozen expats… I marveled at how popular Cuenca had become. By 2015, there were over 8,000 Americans living in Cuenca; a number that grew to 12,000 when including Canadians and Europeans. An amazing 92 countries’ citizens now make their home in Cuenca. I expected Cuenca to be ruined by the number of expats… but I was wrong for two reasons. One reason is that it’s a fairly large city, with an urban population of over 400,000, and metro population of almost 700,000. Granted, the number of expats is still large, but the density is not what you might think. The other reason the city wasn’t “ruined” was that the expats—in my judgment—have been net contributors to the local ambiance and economy. 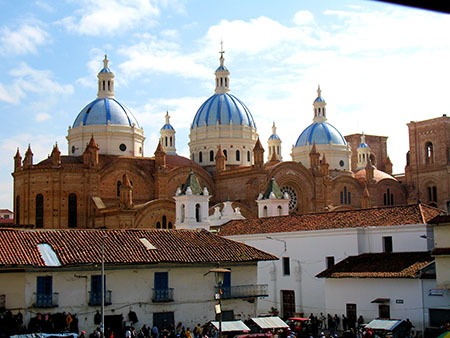 A former Inca capital, Cuenca is now one of the best preserved Spanish colonial cities in the Americas, and not surprisingly, is a UNESCO World Heritage Site. It enjoys year-round, spring-like weather. Average high is 71° (22°C), while the average low is 51° (10°C). Despite being on the equator, there is still a small seasonal variation of ±3°F. Health care is excellent and inexpensive, with a good selection of modern facilities. Inexpensive health insurance is available, but many people simply pay out of pocket. Cuenca is a walkable city with cheap and plentiful public transportation, such that most expats don’t need to own a car. The cost of living is low, especially considering the number of foreign residents. The cost of properties is still incredibly low, even after impressive long-term gains over the past 15 years. 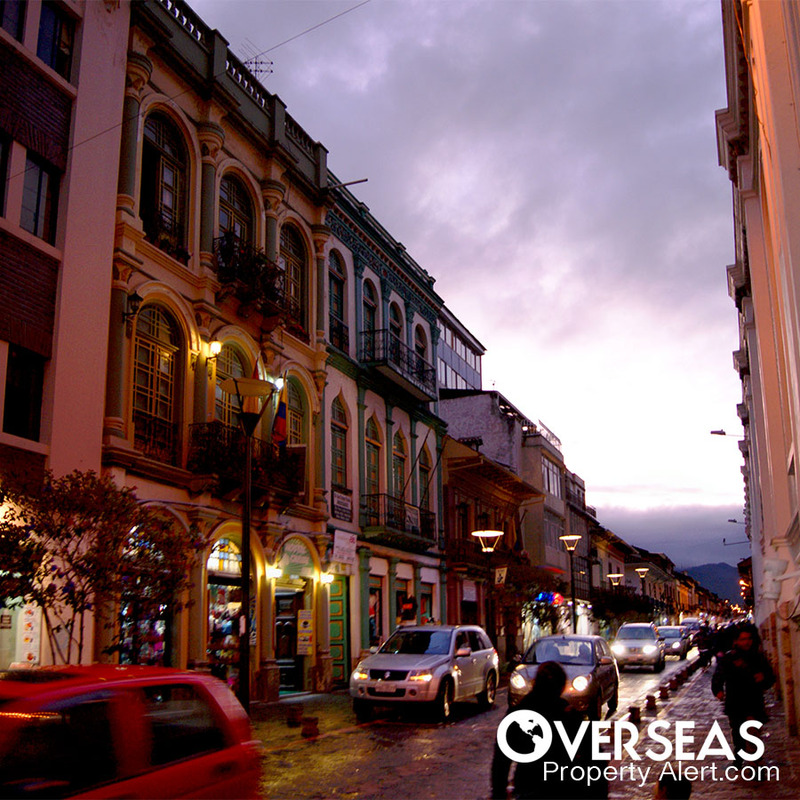 Ecuador uses the U.S. dollar, so you don’t have to worry about exchange rate volatility. Best of all, Ecuador is an adventure… a cultural thrill, with its colorful indigenous market, tiny mom-and-pop shops, and old Spanish and native traditions. As you walk the 16th-century cobblestoned streets, you’ll know that you’re truly in a foreign land. Cuenca has offered these benefits for a long time, but the expanding expat community—with their significant local influence—has brought even more to the table. Today, you’ll have plenty of events, outings, and classes geared to the English-speaking expat. And there are lots of volunteer opportunities that never existed before. The “one fine-dining option” that I mention above has blossomed into dozens of wonderful dining venues, from casual gourmet restaurants… to charming sidewalk cafés… to mouthwatering pastry shops and bakeries from around the world. 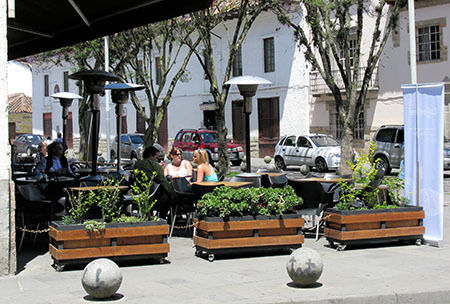 At this writing, Trip Advisor has rated 339 restaurants and cafés in Cuenca. English-speakers can now survive in Cuenca with lots of expats to help you get your feet on the ground. 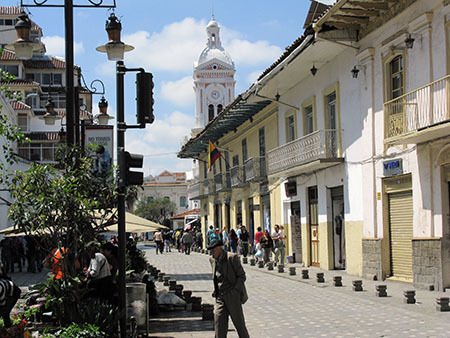 Spanish will unlock all that Cuenca and Ecuador have to offer… but you’ll be able to get started without it. Finally, Cuenca is cleaner and brighter than ever before, with the litter problems of yesteryear a thing of the past. Remember that Ecuador is a Third-World country, with the inefficiencies and sometimes-corrupt practices that plague the Third World. Most of your interaction with the local utilities, government agencies, and municipal services won’t happen online, and you’ll do more standing in line that you might expect. Also, the weather is not for everyone. High temperatures of 71° (22°C) are perfect for me, but lots of people would like it warmer. Driving, too, is something you may not like. A one-time, wimpy Pennsylvania driver, I learned how to be aggressive and vindictive behind the wheel, while flaunting all traffic laws… and I enjoyed it. But many will find the Ecuadorian driving aggression to be stressful and dangerous. Overall, however, I found Ecuador to be an exciting adventure and a rich cultural experience. I made a lot of close friends that are still close today, 10 years after I moved away. Property prices in Cuenca have risen steadily over the years, but they still represent one of the best values you can find. You can rent a fully furnished and equipped two-bedroom, two-bath, first-floor condo in a good neighborhood close to the Yanuncay River and Greenway Park. The condo has 1,000 square feet (93 square meters) of living area, as well as underground parking and 24-hour security. Monthly rent is US$690, which includes all utilities, cable, Internet, and condo fee. A two-bedroom, two-bath condo with a huge terrace and lots of natural light is on the market for US$97,500. With 1,027 square feet (95 square meters) of living area, it includes appliances, upgraded tile and woodwork, as well as a garage space. The condo is located close to public transportation, shopping, and the tennis and golf club. With one spacious bedroom and a single bath, we found an 800-square-foot (72-square-meter) apartment with plenty of living space, including a large, bright kitchen with granite counters. This top-floor apartment enjoys views of the cathedral and the Turi overlook, and the building provides an elevator, as well as 24-hour security and an attractive and secure entrance patio. The asking price is US$70,000 unfurnished, US$72,000 furnished. In a small gated community just across the Tomebamba River from Cuenca’s historic center, I found a 15-year-old house for sale. With 1,926 square feet (179 square meters) of living area, there are four bedrooms and three bathrooms, as well as a studio, small front patio and parking for two cars. Close to shops and restaurants, the house has many upgrades, and the community HOA is US$50 per month. The asking price is US$158,000. If you’d enjoy living in one of the best Spanish Colonial historic centers in the Americas and immersing yourself in one of Latin America’s most fascinating cultures—and don’t mind the Third-World inconveniences and annoyances—then Cuenca could well be for you. It’s still a great place to live and invest. I was very impressed with article by Omar Best on rental sites. I have been thinking for a long time that there is very little information on renting overseas, especially given that it is recommended that one would be better renting before buying. At the moment, all articles are geared to buying, which I am sure most people would not consider their first step. I’ll be the first to admit that I’m not good about covering rentals in destinations I write about. Overseas Property Alert is actually about buying, rather than renting, but even when I write for other publications I tend to skip over the rentals. One reason is that there’s not much value that I can add. And I don’t see as much reader excitement when discussing renting abroad… But I admit that coverage of rentals would be useful for many people. I do take exception, however, to the statement that most people would not consider buying a property to be their first step overseas. Among the expats I know personally, most have purchased a property as their first step… except perhaps for a stay in a furnished rental while they were looking for properties. In my personal experience, your success at living abroad has almost nothing to do with whether you rent before you buy, or simply jump in and buy something. My theory is that anyone who would fly to a foreign country, look at properties, and buy something right away, has a spirit of adventure (and level of confidence in their likes and dislikes) that almost guarantees their success. On the other hand, those people who are comfortable with more analysis should do whatever they need to feel confident that they’re doing the right thing. If this involves renting for a while, then that’s what they should do.